Hello Netinfo(niggas), happy weekend to all of you. Hope you all are still flexing unlimited browsing at just 600naira via my last post on MTN Free Browsing?? if you missed that post, you can still Read that HERE. It just came to my Notice that some of my Troid VPN users have problem connecting on their Android. so i will quickly show you how to go about it. NOTE: To enjoy unlimited and high speed download, use your Tunnel Guru Login details on TroidVPN so you can access the premium servers. 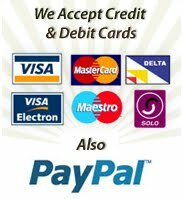 DEMO TROIDVPN USERS CAN UPGRADE THEIR ACCOUNTS BY CLICKING HERE Like our Facebook page, Follow us on Twitter and Subscribe to our Daily post. Hi bro, is dis still working? will it MTN bis or with 0kobo? more help bro. want to browse unlimited with 4g network on my android. @Jahboy, no Bis required, just use your MTN sim with 0.0k. @Anonymous, yes sure you can. As long as u are on a premium plan(unlimited). @Kusume, thnks for coming around, what ever is uploaded on this Blog, i dont do copy and paste. The Trick above has also been confirmed by two users and its working. all i can tell you is sometimes it might take some time to connect. Please try again and let me know your outcome. @Emma, thanks for ur comment, am Glad u too have confirmed this is working. @Anonymous 9;35AM, what error are you getting?? Not connecting.. Is it still working? Hi ManKind......... plzz help me out plzzz i need step to step guide on how to root my HTC G2 version 2:3:4, i have dwnload d Troid Vpn but its said i cnt use it until i root my phone. plz help for God sake. 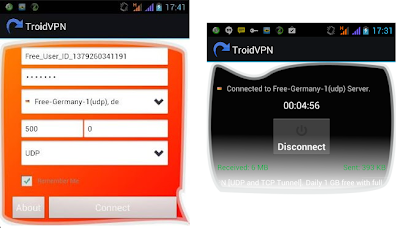 Jahboy, in Troid VPN the following protocols do not need the Android device to be rooted...TCP & UDP. Its only ICMP protocol that requires rooting. Kabiru, go to network settings under settings, you should see where to put it. can i use both tg n troid simultaneously? @Kabiru, yes you can, but u might find it difficult to connect on the Troid. Is it a must to get the unlimited plan b4 it works on troid? Abakare sorry abt that, could be a netwrk issue..you can either mail me or send me a text. Femmy i hv chcked..its still wrking, let me knw if urs is bck. Etisalat nt working at the moment pls. hello Chris,pls is this still working coz whenever I connect it will authenticate but will say not running after some seconds but it won't connect. Does this only work on mtn or other networks as well please?